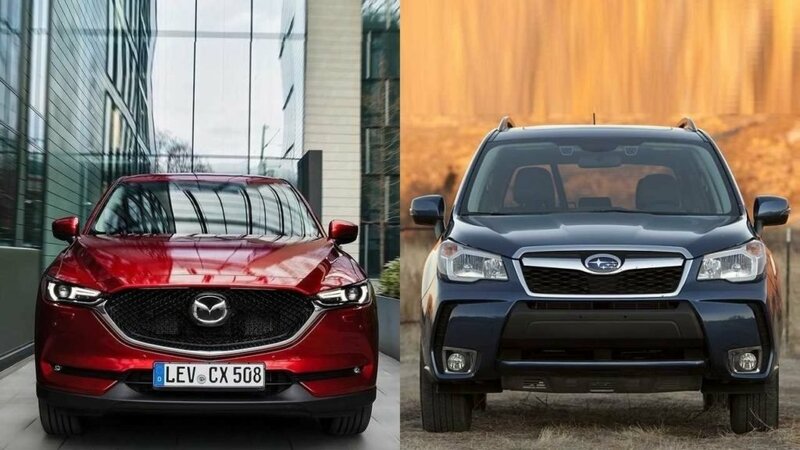 If you’re looking for an advanced and reliable CUV, then head over to Island Mazda near Staten Island, NY to compare the 2017 Mazda CX-5 Vs. Subaru Forester to find the right car for you. Weather and road conditions can change in an instant. That’s why Mazda CX-5’s available i-ACTIV AWD predicts when an all-wheel drive might be needed, monitoring everything from outside temperature to throttle input and braking patterns. It then preemptively optimizes torque distribution to help curb traction loss. You may never even notice the change. Which is exactly what Mazda intended. Every angle and aspect of this best-selling CUV has been improved to make driving better, thanks to over 250 enhancements. With features like a quieter cabin and available stunning Metal Wood trim, Mazda designers and engineers accomplished it all without sacrificing driving dynamics. As a result, this carefully crafted and refined CX-5 achieves the impossible: the perfect unity of versatility, spaciousness, innovation and impressive efficiency, with up to an EPA-estimated 31 highway MPG. With features like 17- and 18-inch aluminum-alloy wheels, X-MODE with Hill Descent Control, and 8.7 inches of ground clearance, the Forester can help you cover nearly any road your heart sets out on. The balanced design of Symmetrical All-Wheel Drive creates uniform stability and delivers an optimal distribution of power for maximum traction. It makes for improved handling, efficiency, and a quicker response to road conditions. The durable SUBARU BOXER engine combined with the available Lineartronic CVT allows the Forester to get up to a fuel-efficient 32 MPG. The Forester has a dark side. Sleek, blacked-out trim runs from the mirrors to the unique 18-in. alloy wheels and straight through the exclusive interior for an effect that’s subtle and eye-catching at the same time. Standard LED Steering Responsive Headlights make sure you always have a great view of the road ahead and add a final bright touch to your next midnight run. If you’re curious, head over to Island Mazda near Staten Island, NY to test drive and compare the 2017 Mazda CX-5 Vs. Subaru Forester.